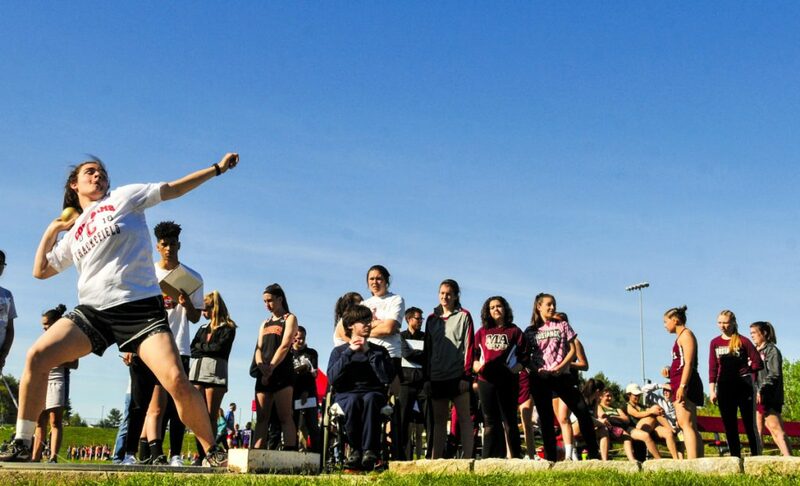 Track and field standouts get last chance to qualify, or final opportunity to improve their form. 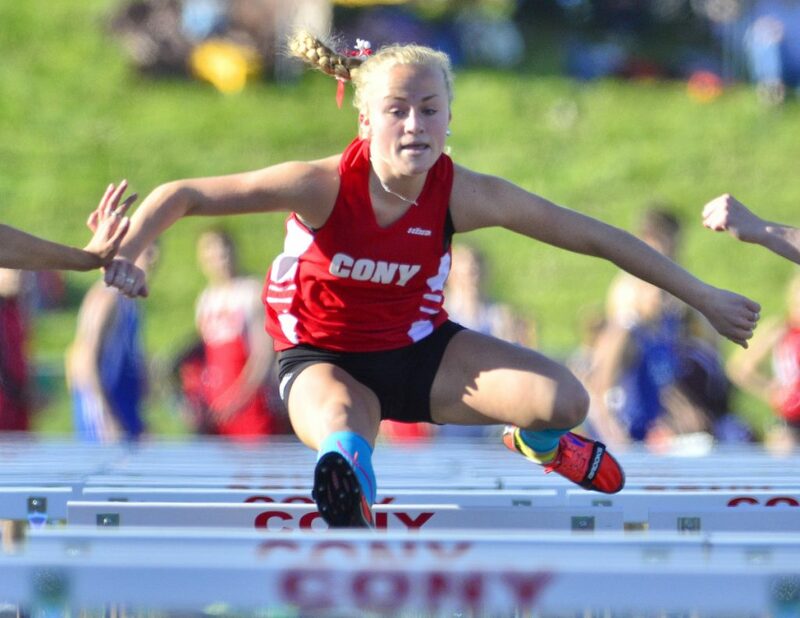 Staff photo by Joe Phelan Cony's Anna Reny runs the 100 meter hurdles during the I. Taylor Harmon Capital City Classic on Friday at Cony High School in Augusta. AUGUSTA — Jack Jowett had nothing to lose. 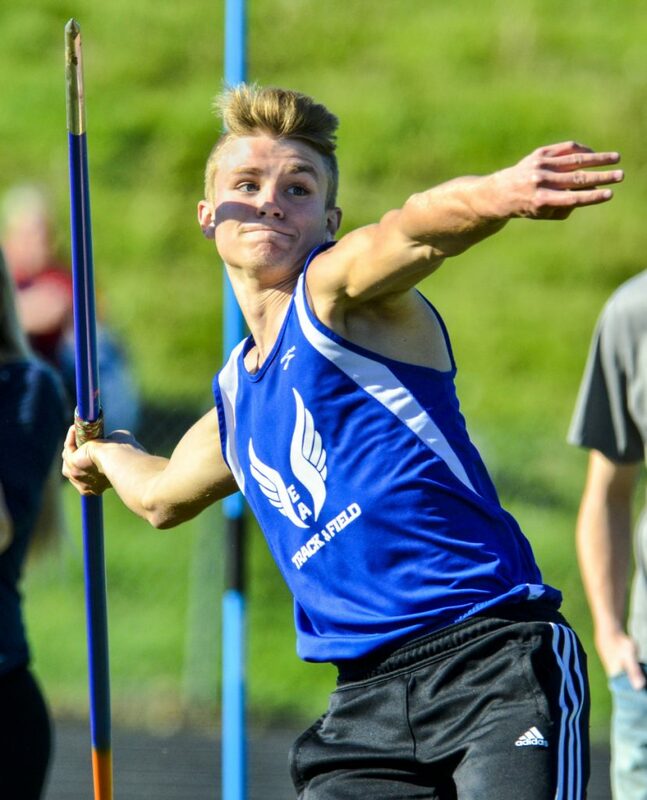 The Erskine Academy track and field standout had already qualified at both the conference and state levels in the javelin, his signature event. 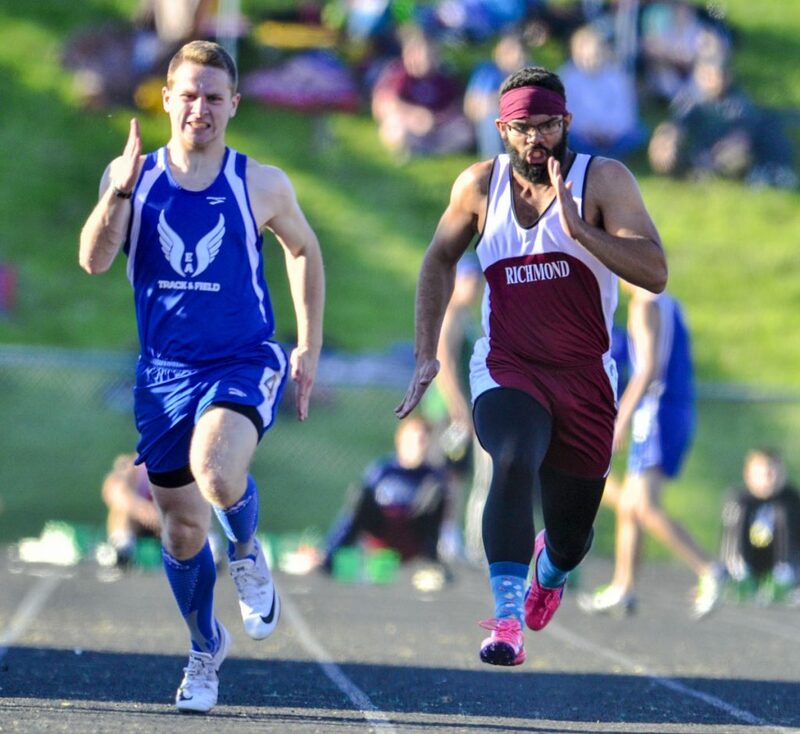 But even as he got ready to make his first throw at the I. Taylor Harmon Capital City Classic on Friday at Cony High School, the state title hopeful knew there was still plenty to gain. The last opportunity, in fact. 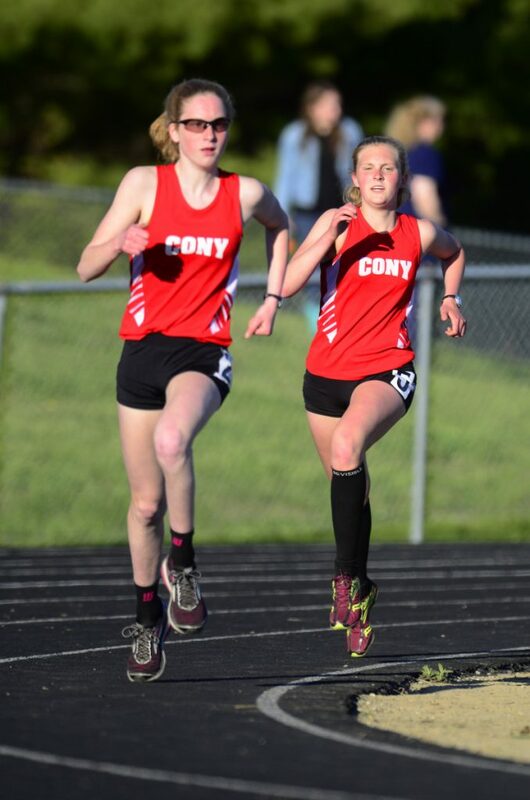 For the 13 teams that made it to Alumni Field for Cony’s annual meet, Friday was the final stop on the way to the all-or-nothing conference and state meets. 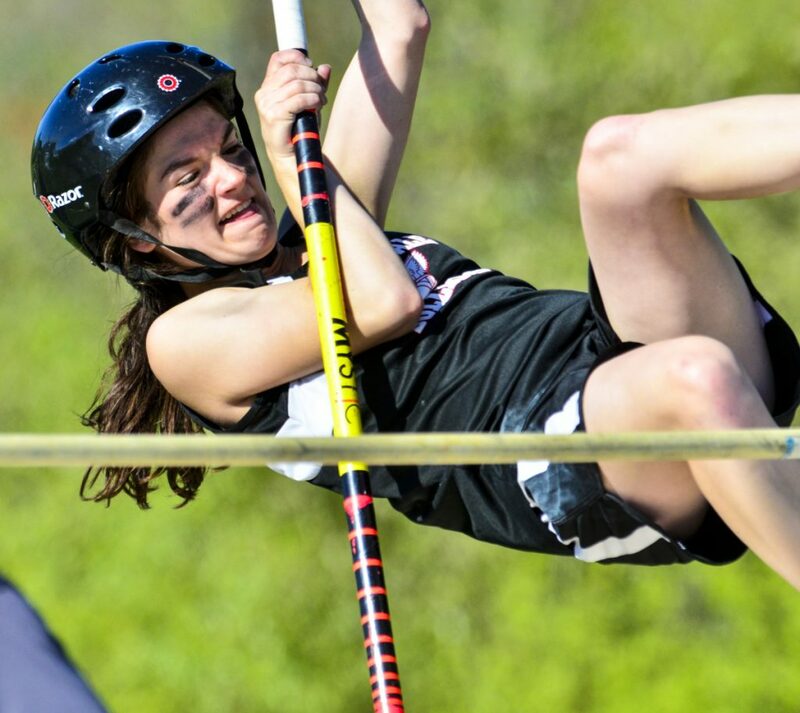 For the athletes like Jowett, who have long had their late Mays and early Junes booked, it represented a final tune-up, and a chance to make whatever tweaks were necessary to the form that they hope will lead to glory at the biggest meets of the year. 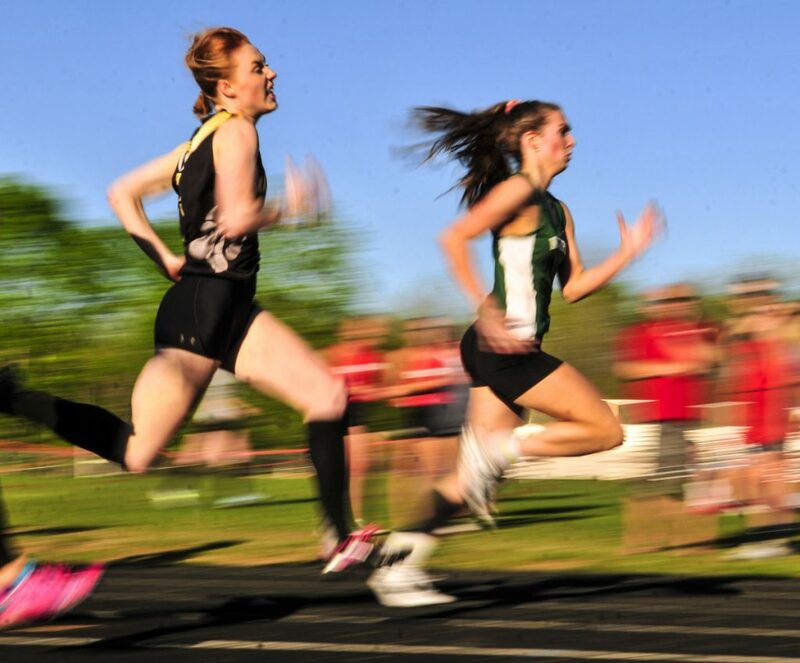 For the myriad athletes that hadn’t qualified for conference meets, however, the stakes were higher. After the Classic, there were no more chances to punch their tickets. 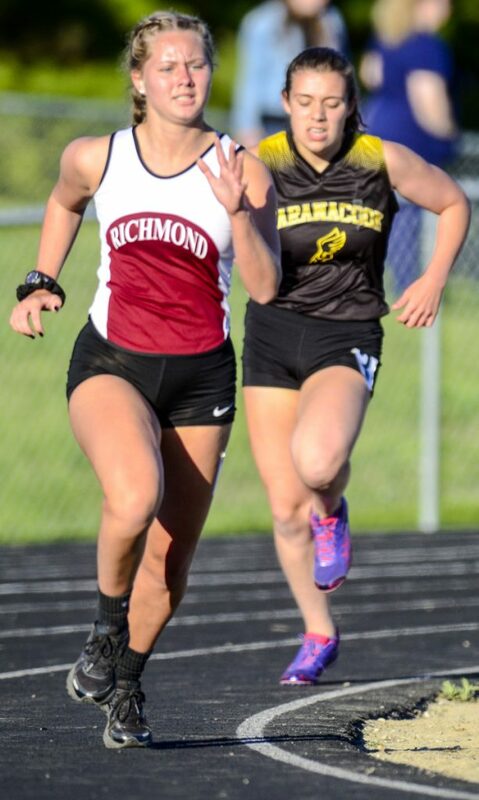 Athletes could either find those extra seconds, inches or feet they needed, or the season was over. Still, for those on the bubble, it was hard not to look at the implications in play. The higher stakes and increased pressure lead some to make sure they put everything into the Classic. Winthrop’s Zak St. Germain, needing to shave one second off his personal best time of 5:21 in the mile, opted not to run in the event in a meet Tuesday — thereby giving up a valuable chance to qualify — to make sure he was at 100 percent for Cony, where there would be plenty of qualified runners with whom he could pace himself. On the sidelines waiting for the event, St. Germain acknowledged there was a layer of tension to the race. Some of the bubble athletes flourished under that pressure. 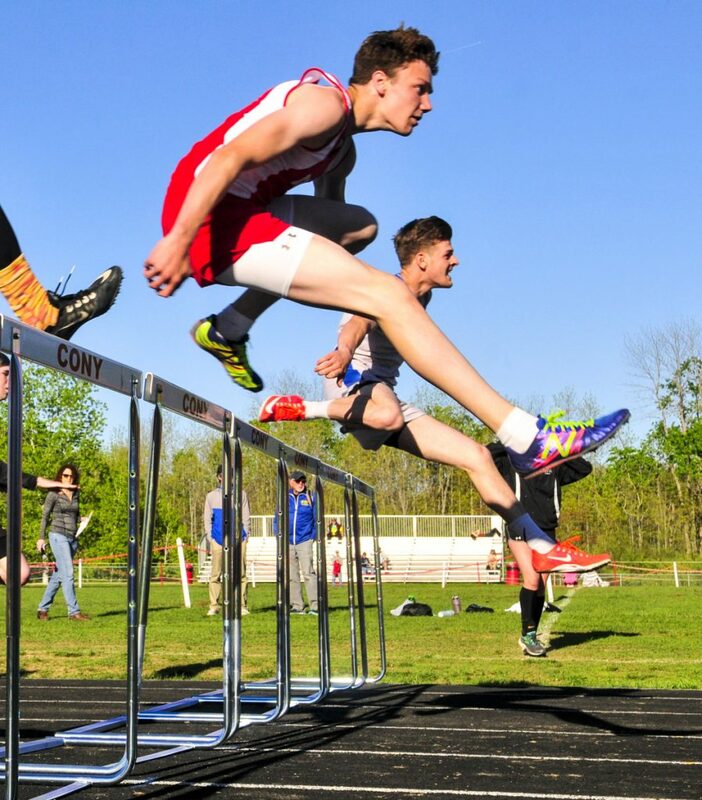 The most notable example may have been Cony’s Jake Dacus, who came into the meet with a personal best of 77 feet in the discus — only to shatter it with a throw of 116 feet that easily cleared the KVAC requirement of 110 feet. 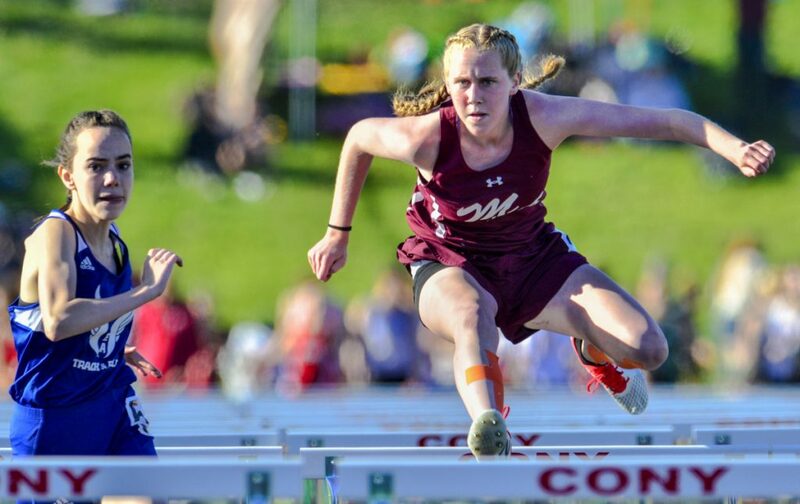 Even for the athletes who had cleared the conference barriers, however, the pressure wasn’t off entirely. Much like a team that has clinched a playoff berth but can still gain homefield advantage, qualified athletes still had seeding position they could improve. And sharpen that form for when those meets arrive. And still, plenty of the athletes that were on the outside looking in entering Friday stayed there. Even the ones who didn’t qualify, however, could make the day worthwhile.